First of all let me say wow, wow, WOW! It’s always a buzz to get a call for an enquiry, but when the phone rings and a guy asks if you’ll travel to Italy to cover his wedding, then it goes up a few notches. It’s not for everyone though, and I my self had to run a couple of checks with family before I could make any commitments. It’s easy to run around loving your job and where it takes you, but it can take a toll on your family; in this instance though, I’m happy to say I got the ‘green light’ from Helen. My work is gradually taking me more and more into areas ever further from my home county of Derbyshire. More adventures, more excitement, more stimulation for the sole, and that’s all good for me and my couples. After all; who wants a photographer at their wedding who isn’t into it as they’ve done the same picture with the same backdrop 15 times that season already! I’m fortunate enough to have spent time in most corners of the globe at some time or another. However, I was ill prepared for just how gorgeous this little glimpse into central Italy in the Umbria region would be. Sitting high on a hill with amazing views across Lake Tressamino Villa San Crispolto nestles between ancient Olive trees and drinks in the most glorious sunsets you’re likely to see. It really was a privilege to go, but it did have a few challenges in getting there. Threats from Ryanair to cancel flights had me nearly book additional flights, and the collapse of Monarch had half of the wedding guests book last minute flights from Stanstead. But after a few headaches and a little credit card flexing I’m pleased to say that Steven and Kerry kept their cool and got 30 or so of their nearest and dearest to join them for a real treat of mediterranean autumnal sunshine. 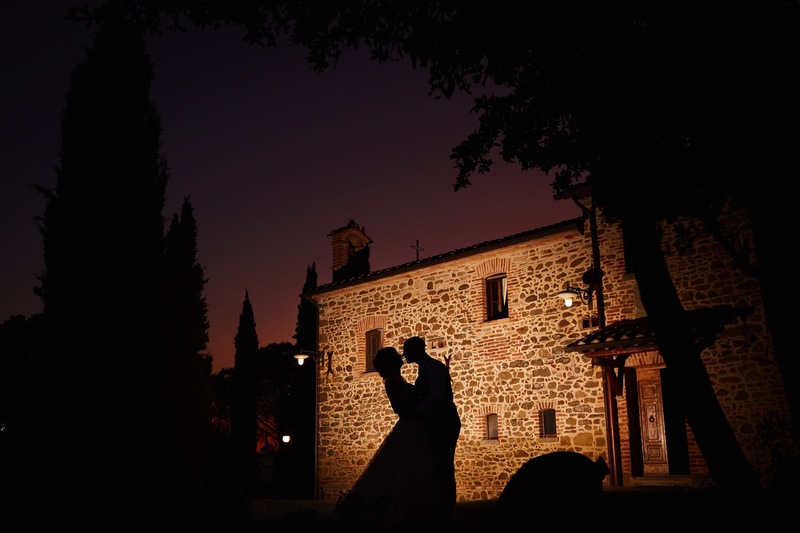 Planning a wedding in Italy or anywhere else? Get in touch to know more about what I can do for you.